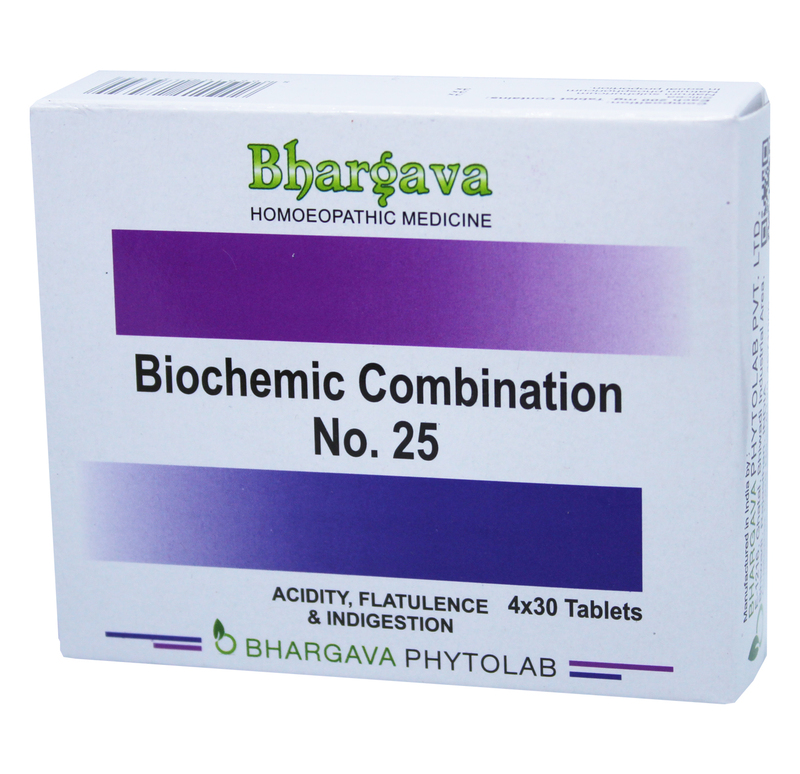 Bio Combination 25 helps in overcoming the problem of acidity, flatulence & indigestion. It is helpful in gastric disturbances, heartburn, sour eructation’s, and dyspepsia. Doctor Bhargava Bio Combination no. 25 is a result of techniques perfected over 100 years of practice. It also helps in flatulent colic and bilious vomiting, headache, and heaviness in the abdomen. Start taking Homeopathic medicine today and get the best treatment.